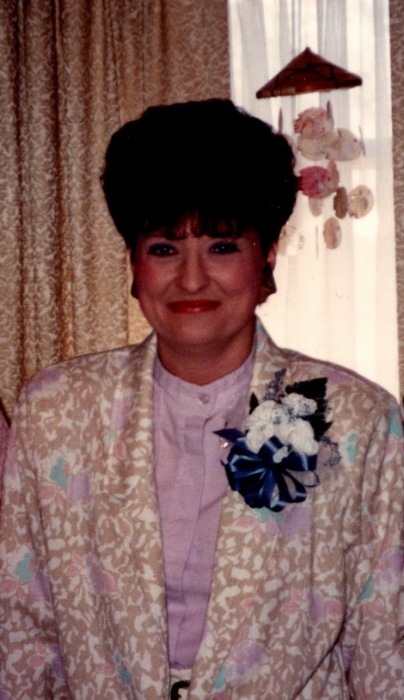 Mrs. Kathy Austin Elmore, age 64, passed away on March 16th, 2019 at SOVAH Medical Center, in Danville, Virginia. Kathy was born in Danville, Virginia on September 10, 1954 to the late James and Ileene Austin. Growing up in the Mt. Hermon area, she was a lifelong member of the Mount Hermon Baptist Church. Her relationship with the Lord was constant, her dedication never wavering even when her health didn’t allow her to attend church regularly. Kathy worked for the Danville Regional Medical Center in the business office, where she met Roger Elmore, whom she married on April 14th, 1990. Together, they cared for their own pets, as well as some of the neighborhood animals who came by from time to time for a bit of food and a few caring moments. Kathy, not only leaves behind her husband, Roger, of 28 years but also their two dogs, Rusty and Toby; as well as their two cats, Panther and Little Bit; all of whom were Kathy’s constant companions and who regularly lifted her spirits during trying times. In lieu of flowers, the family asks that donations be made to the Danville Life Saving Crew. Barker Funeral Service is respectfully serving the Elmore family.